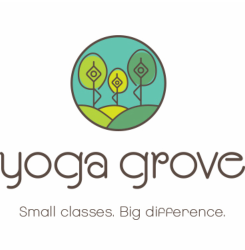 Class Reservations - Yoga Grove - Small classes. Big difference. Because classes are limited to 6 people, it is very beneficial to reserve your spot in a class in advance. Please reserve at least 2 hours before the start of a class if you can, as we will cancel the class if no one is signed up for it at that time. In order to reserve a spot, you'll need to purchase one or more classes. Once you have purchased your class(es), you can reserve as many classes in advance as you have on account, so long as there is space in the classes. If a class is currently filled to capacity, you may request to be put on a waiting list for an opening, if someone is unable to make it. You will be contacted by email as soon as a spot opens up, if one does. The first step is to ensure that you have purchased classes on your account. You may purchase a single drop-in class, multiple class passes, and memberships. If you cannot make it to a class you have signed up for, please give at least 8 hours notice, so we can offer the spot to someone else. If you have to cancel without sufficient notice, you will be charged for the class as if you had come. Members please refer to your membership contract for cancellation policy details. Thank you for your co-operation and understanding!